Bonzie Alexander Colson II (born January 12, 1996) is an American basketball player for the Milwaukee Bucks of the National Basketball Association (NBA), on a two-way contract with the Wisconsin Herd of the NBA G League. He played college basketball for the University of Notre Dame. He is a native of New Bedford, Massachusetts. Colson, the son of a former Rhode Island player who went into college coaching, played high school basketball in that state at St. Andrew's School in Barrington, as well as AAU basketball with Boston Area Basketball Club. He developed as a pure post player, but was abnormally short for the position—during a basketball camp in summer 2013, he measured at 6'4.5" (1.93 m) in shoes. Despite his physical stature, advanced statistics showed him to be unusually effective in the frontcourt; in July 2013, Colson had the top player efficiency rating (PER) among frontcourt players in Nike's Elite Youth Basketball League. While Colson was largely ignored by major programs as a frontcourt prospect, Notre Dame assistant Martin Ingelsby, who went on to become head coach at Delaware, had a very different view, based on Colson's production in both high school and AAU play, as well as a disproportionate wingspan of 6'11.5" (2.12 m). When Colson visited Notre Dame in September 2013, the coaching staff made Nike's PER study a major part of its pitch, convincing him that the Fighting Irish program, devoted to offensive efficiency, would be the best fit for a player of his type. He would commit to Notre Dame that October. In Colson's freshman season at Notre Dame, he came off the bench for 31 of his 32 appearances. He recorded a 17 point performance in a win over Duke in the semi-final game of the ACC Tournament. At the end of the season, he was named Notre Dame Newcomer of the Year. Colson appeared in 36 games in his sophomore season, starting in 24. He recorded the first 30-point game of his career on January 16, 2016 leading Notre Dame to its first victory over Duke at Cameron Indoor Stadium. In his junior season, Colson became Notre Dame's leading scorer, led the ACC in rebounding, and was named to the All-ACC first team. He was also the first player shorter than 6'7" to lead the ACC in rebounding since 1958. Prior to the 2017–18 season, Colson was named the preseason ACC Player of the Year and a first-team preseason All-American by the Associated Press. After missing 15 games during the regular season with a broken foot, Colson broke his left foot again in Notre Dame's NIT tournament game against Penn State. On September 18, 2018, Colson signed with the Cleveland Cavaliers. 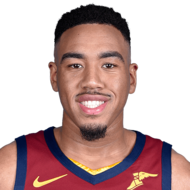 On October 13, he was waived by the Cavaliers, but was added to the roster of the Cavs’ NBA G League affiliate, the Canton Charge. In his first G League game, a 101-89 loss to the Wisconsin Herd, Colson led the team with 23 points and 15 rebounds, shooting 10-of-18 from the floor. On January 15, 2019, Colson was signed to a two-way contract by the Milwaukee Bucks. Under the terms of the deal, he will split time with the Bucks’ G League affiliate, the Wisconsin Herd. In a 2016 story, Sports Illustrated writer Luke Winn called Colson "one of college basketball’s greatest anomalies." 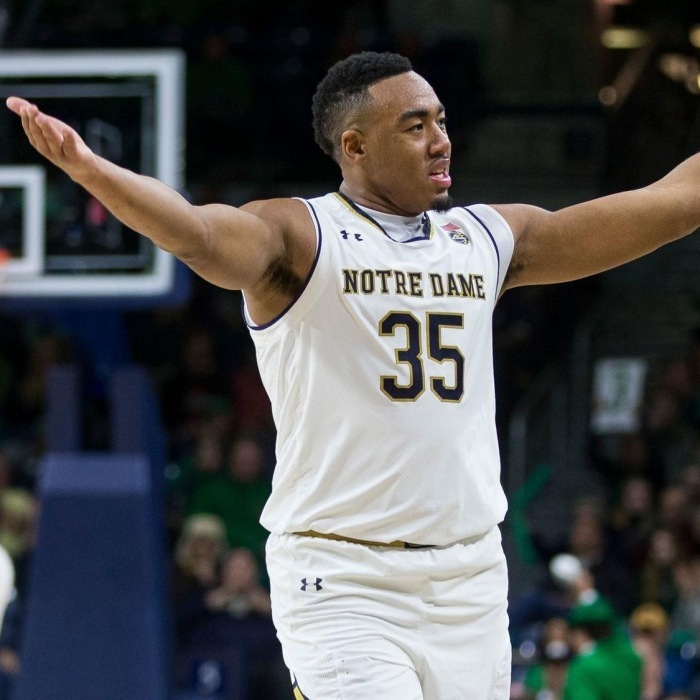 While Colson was not much larger than in high school—by then, he claimed to be 6'5" (1.96 m) tall with a 7' (2.13 m) wingspan—Notre Dame was frequently playing him as a center alongside four guards, three of them taller than Colson. As early as his high school and AAU days, according to Winn, "he knew how to work angles to get off all kinds of funky shots" and "played with a chip on his shoulder due to being ignored by many big-time schools". Colson has recently begun to incorporate three-pointers into his skill set, enabling him to also play as a stretch four in some Notre Dame lineups. He began this process in summer 2016, when he spent five days in California with NBA player Jared Dudley, whom Colson had known as a young boy while his father was coaching Dudley at Boston College.